Teh Tarik is a Indian based tea that is also famous in Malaysia and Singapore. You can find this kind of tea in the traditional hawker stalls and kopi tiams in Singapore. 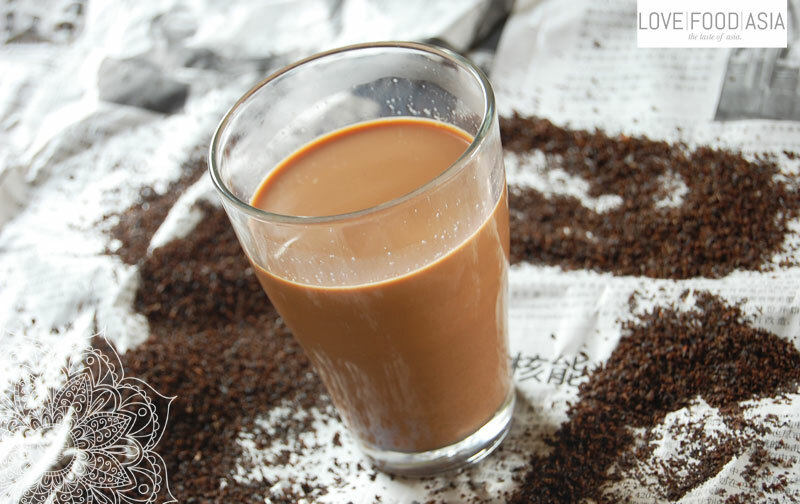 Its name, “Teh tarik” is derived from the pouring process of “pulling” the drink during preparation. Teh Tarik is made from black tea (we prefer the Cameron Highlands tea BOH), sweeted condensed milk and some ginger juice; may be added which is commonly called “Teh Sarbat” or “Teh Halia” (Ginger Tea). In Malaysia we had this kind of tea served on ice. As a drink served to a spicy dish the iced version of The Tarik is super delicious. In a small pot or teapot pour boiling water over tea leaves. Steep for 10 minutes to have a strong brew. Through a sieve strain tea into a large vessel. Pour in sweetened condensed milk. Tarik or “Pull” the tea by pouring it back and forth into another container in a long stream to generate froth. The longer the stream, the frothier the brew. Serve The Tarik quickly before it deflates.